I'm a new teacher on Verbling. Glad to be here!! I am originally from São Paulo, Brazil. I have lived in Chile and in the United States where I finished my B.A. in English Language Arts. I am an experienced language professional. I have been teaching Brazilian Portuguese, Spanish and English! for more than 10 years experience in both the U.S and Brazil. 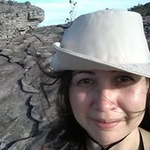 I am very patient, knowledgeable and would love to help you learn or improve your Portuguese language skills. If you have any questions about my methodology or anything at all, feel free to send me a message. I will me more than happy to answer any questions. Note: If you book a session, please answer some of these questions before. * Have you studied Portuguese before? * What is your level now? * How long ago and for how long did you study the language? * Offers language and cross-cultural training, translation and interpreting for companies and professionals. * Consults multinational companies seeking to develop and evaluate language-training programs. * Development of language courses for teachers and students, materials and cultural events. * Provides cultural and business insights for companies developing products or services in Brazil. * · In charge of training, recruiting and evaluation of teachers for Cartus’ clients in São Paulo. *Teaches individual and group classes to professionals from diverse cultural backgrounds. *Develops differentiated lessons, organizes personalized curricula and assessed student progress. Taught small groups and individuals on-site at the language school and offsite as needed. * Taught the Spanish for Business intensive course at the Chazen Institute, Columbia University * Prepared lessons plans, developed personalized curriculum and authentic material for classes. * Tutored Spanish to college students from beginning to advance levels in a small group setting. * Prepared college students to do well in their academic Spanish classes and improve conversation skills. * Assisted ESL and American students in English for writing and grammar purposes. * Prepared college students to take the ACT exam. * Participated in the innovated program called “Tutor in the Classroom”, to enhance students’ performance.